Nothing in the world compares to having a dog – that goofy, lovable, messy, stinky, loyal ball of fur. 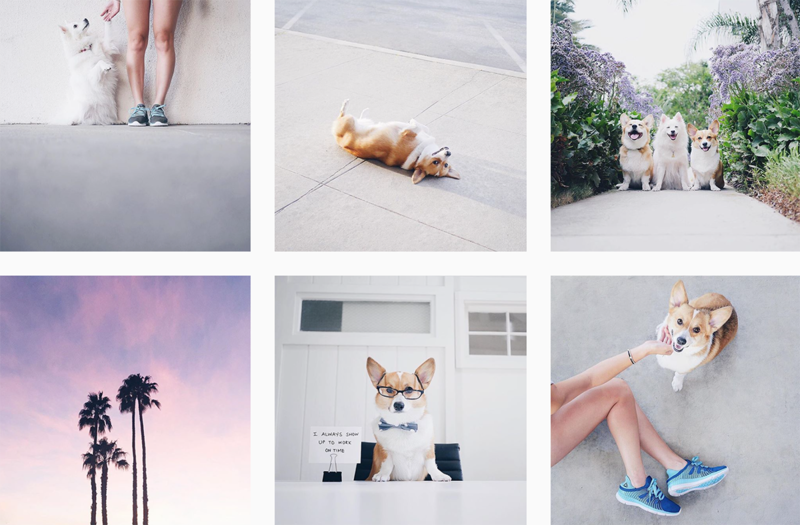 In honor of National Dog Day (tomorrow), we are highlighting some of the best Instagram pup accounts we could find. Read on and prepare to have your hearts melted by these sweet dogs. 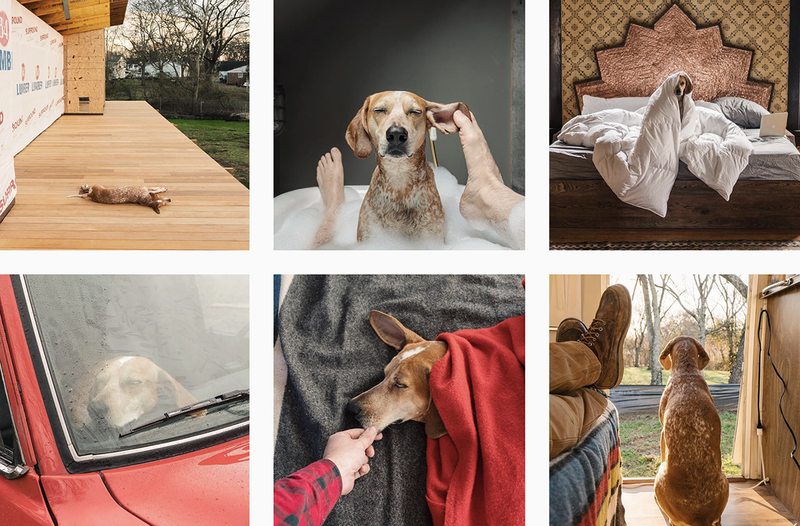 One look at Ontario based photographer @Andrewknapp’s Instagram, and you will see how much he loves his dog. Momo is his name, and he is an adorable black and white Australian Shepherd. On Knapp’s Instagram, you’ll find Momo in the most unusual places and predicaments…there must be a pretty sweet treat waiting on the other side of those photographs. They even have a book out called “Find Momo”, which is similar to Where’s Waldo, but way cuter! @ps.ny’s fur baby, Cookie, looks just like a stuffed animal. Olia Saunders is a talented photographer, vegan food blogger, and mom to the cutest red poodle we’ve ever seen! On her Instagram, you’ll find photos of Cookie wearing eyeglasses and “reading”, snacking on healthy food, and always looking extra adorable and snuggly! Make sure you check out Olia’s other account, @Veganfundays for delicious recipes as well. Dog or fox?! 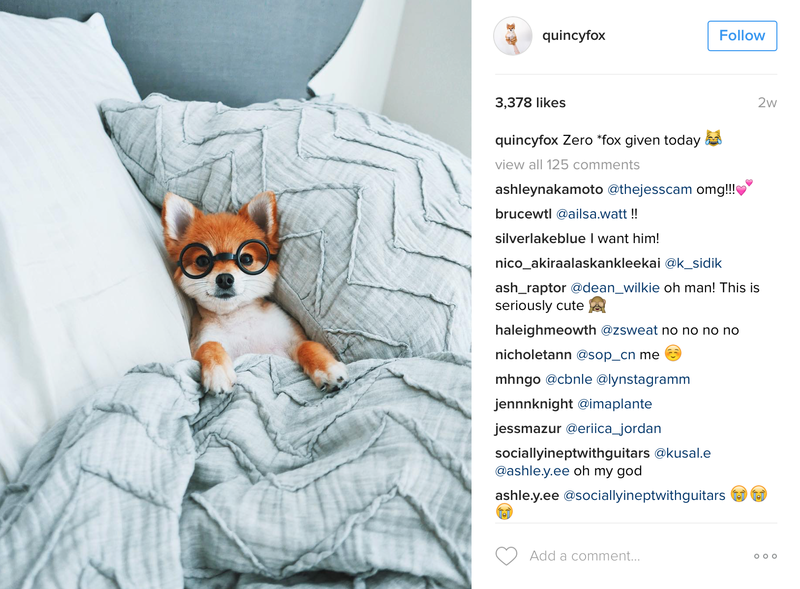 That’s what you’ll probably think when peaking through @quincyfox’s Instagram page. The bio on Quincy’s page says “It looks like my Pomeranian mom had an affair with a fox”! 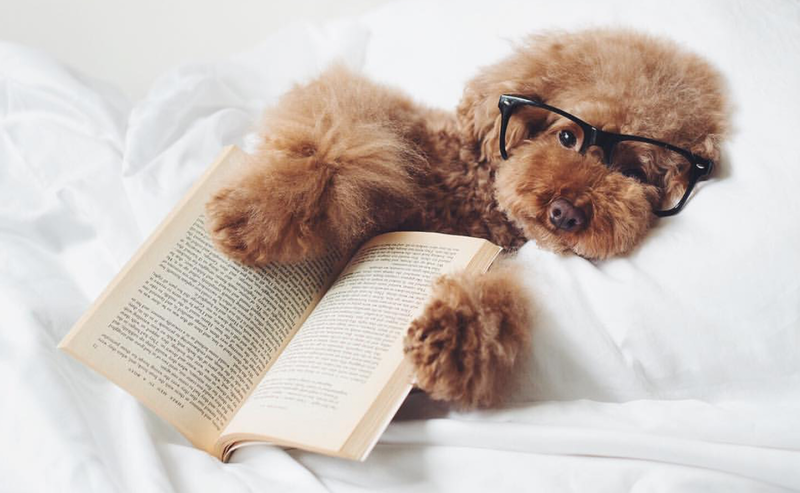 We fell in love after scrolling through this pup’s feed and you will too. Adventure with Quincy through her adorable life in New York City! Also, we need to find some doggy glasses like Quincy’s. One glance at @thiswildidea’s Instagram and we can tell this pup likes adventure. Owner, Theron Humphrey, and Maddie the Coonhound can be found galavanting all over dirt paved roads, swimming in rivers, and experiencing the beauty of nature. Theron and Maddie seem to do everything together – even bathtime! We’re always keen to find out what adventure they’ll be off to next.